The Pikeville Medical Primary Stroke Center has added many feathers to its cap over the years. But this year, the Stroke Center has come full circle by appointing Trauma Director, Sandy Tackett, RN, as the interim Stroke Program Coordinator. Tackett has been with the hospital for over 20 years. Her experience includes serving as Stroke Program Coordinator back in 2009, the first year that Pikeville Medical Center (PMC) was certified as a Primary Stroke Center. Tackett’s first major event since taking on her new responsibilities with the Primary Stroke Center was the 2018 Stroke Symposium. It was planned and implemented utilizing the expertise of Primary Stroke Center Medical Director and PMC Neurologist Dr. Naveed Ahmed, as well as Tackett herself. In keeping with the memorandum of cooperation between PMC and the University of Pikeville, the symposium was held Saturday, August 25 at the UPIKE Health Professions Education Building. PMC’s Primary Stroke Center was recently awarded the 2018 American Heart Association/American Stroke Association’s Get with the Guidelines Gold plus Award with Target Stroke: Honor Roll Elite status. This award is an indicator that our strict adherence to nationally accepted guidelines will lead to better outcomes for our patients. This symposium covered a wide variety of topics including new treatments available for acute Ischemic stroke, recognition of stroke disorders that might present with unusual warning signs and symptoms, management of atrial fibrillation, intracerebral hemorrhage therapy and post stroke rehabilitation. This meeting of the minds was a great way for medical staff to get the continuing education hours needed to maintain their certifications. The symposium was certified by the Kentucky Medical Association, the Kentucky Board of Nursing and the Kentucky Physical Therapy Association, each for 5-6 credit hours. This event was very well attended by medical professionals in the region, boasting one of the highest attendances of any PMC symposium to date. Those present included experts in their medical fields from PMC as well as other organizations. Notable physicians include Dr. Kevin Barrett from Mayo Clinic, Dr. Justin Fraser from the University of Kentucky College of Medicine, Dr. Charles Prestigiacomo from the University of Cincinnati College of Medicine, Dr. Michael Antimisiaris and Dr. Sankar Chirumamilla from PMC. 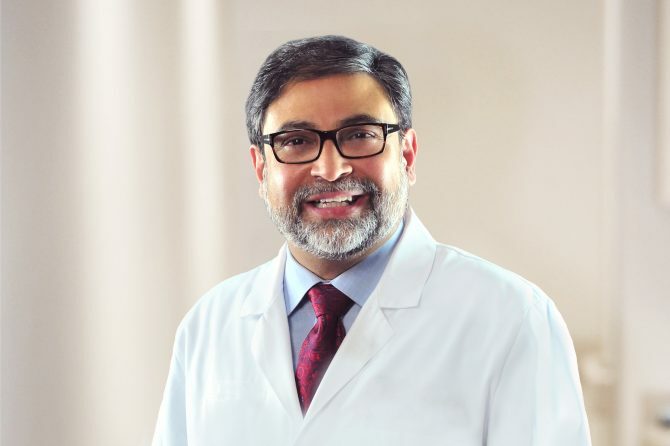 For more information about PMC, visit pikevillehospital.org, or to make an appointment with Dr. Ahmed, please call 606-218-2208.